KinderMATICA has released Yum-Yum Letters 1.00. The US$2.99 app introduces handwriting to youngsters ages four and up in a relaxed format. It includes a degree of customization beyond the themed writing surfaces. Buster Studios has introduced Buster and the Crystal Bones 1.0. In the 3D platformer — which costs $2.99 — players must help Buster save his owner, Professor James Beagles, from the arch villain, the nasty Adelbert Adler. 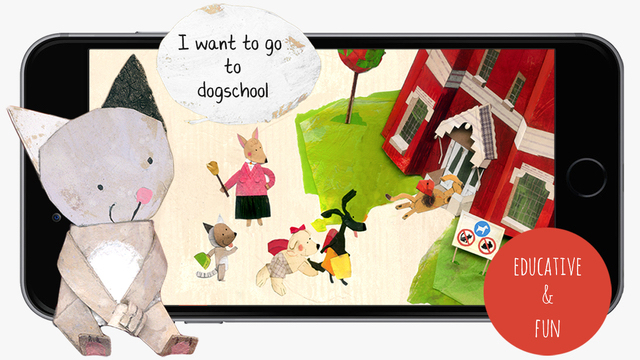 Catsndogz has announced Lucy & Pogo 1.1 for children three to seven years of age. 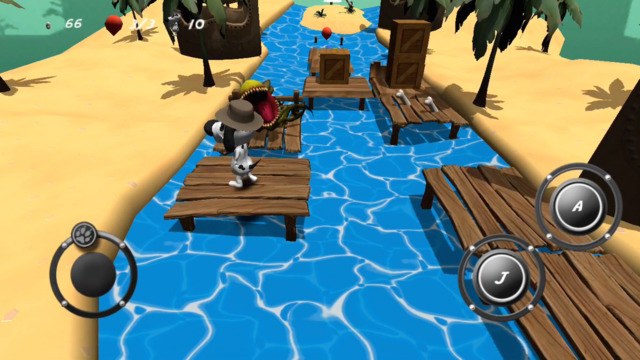 In the $2.99 game, kids help Lucy find her way around a new dog world over the course of 13 chapters, and well as through mini-games developed for the story. ElmerApps has unveiled Shooty Ship 1.11, an update to their retro arcade game. In the app, players shoot down enemy combatants and grab power-ups to help them attack the enemy space outpost. Shooty Ship is free, but does offer in-app purchases. Zunn Labs has rolled out Sunn Circadian Lighting. The free (for a limited time) app automatically tunes the color and brightness of smart lights to be in sync with cycle of sunlight outside, making it easier to fall asleep at night, wake up in the morning and stay alert during the day. KnowledgeMiner Software has introduced Ockham 1.0 for Mac OS X Yosemite (and higher), an app for performing sensitivity analyses for a number of model parameters. It's based on self-organizing analysis concepts, and it is designed as a tool in academic research and for industry practitioners across a wide spectrum of disciplines including but not limited to environmental engineers, pharmaceutical scientists, oil and gas reservoir simulation engineers, government agencies and local authorities. Ockham 1.0 pricing starts at $15 and is available at the KnowledgeMiner Software website. A demo version is available for download. Aperio Lux has unveiled RSS Follower, a new Mac OS X app for reading news. It provides instruments to navigate through the news, as well as to download any attachments, podcasts, or other enclosures that you're interested in. RSS Follower requires Mac OS X Yosemite. It's free (though it does tout a $4.99 "ultimate package" in-app purchase) and is available at the Mac App Store in the News category. Chronos has launched Business Card Shop 7, an upgrade to its business card software for Mac OS X (10.11 or later). The new version includes a completely redesigned interface plus maps integration so users can more easily show their customers exactly where their place of business is located. Business Card Shop supports 700-plus card stocks, including those from Avery, PaperDirect, NEATO, and more. It comes with over 210 pre-designed templates for over 210 different professions. It also comes with a collection of artwork (over 1.4 GB in size) from artists all over the world. A fully functional, 30-day trial version can be downloaded from Chronos' website. It costs $39.99 for a single user license and $69.99 for a family pack. Registered customers of SOHO Business Cards 1.x to 3.x or Business Card Shop 4.x to 6.x can upgrade to version 7 for $25. See the Chronos website for family pack upgrade pricing. Customers who purchased Business Card Shop 6.x after Aug. 5, 2015, can upgrade to Business Card Shop 7 for free. Times for Fun has announced FastCut 3.1.8 RT for OS X. The app offers video editing in real-time. FastCut brings 3D motion and effects keyframe animation, masking and keying, video transition and filter+special effects, an integrated ATSUI live title editor with title effects and more. Version 3.1.8 brings several new enhancements and bug fixes including an El Capitan compatibility issue. The product is available directly from Times for Fun for approximately $33. It requires OS X 10.5 aka Leopard or later. A demo is available for download. Version 3.1.8 is a free upgrade for registered users. Cisdem has updated PDFConverterOCR for Mac to address compatibility with OS X El Capitan. Cisdem is the PDF Converter with OCR ability, which can convert both normal and scanned PDF documents or images into other popular documents (including Word, PowerPoint, Excel, Text, Rtfd, ePub, HTML, Keynote, Pages, and Image) while preserves original tables, text, fonts, images, graphics and hyperlinks. Cisdem PDFConverterOCR is available now through the Cisdem website. A demo is available. A single user license of PDFConverterOCR is available for $59.99. Web Information Solutions has upgraded Desktop Informant, a calendar/task app for Mac OS X, adding support for El Capitan and a new Stacked Week View. There are also companion products available on iOS and Android so you can sync your data across myriad devices. Desktop Informant requires Mac OS X Yosemite. It costs $29.99.